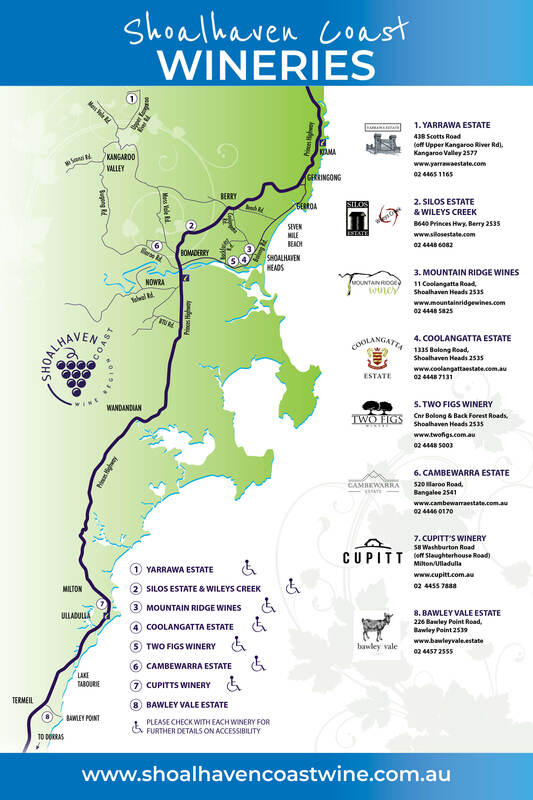 Yarrawa Estate - Shoalhaven Coast Vineyards and Wineries | Shoalhaven Coast Wine Industry Association Inc.Shoalhaven Coast Vineyards and Wineries | Shoalhaven Coast Wine Industry Association Inc.
A warm welcome, superb wines and stunning views. Yarrawa Estate offers visitors the opportunity to taste award winning wines in a relaxed atmosphere while enjoying stunning views of the Upper Kangaroo Valley escarpment. Wine tastings are complemented with local cheese and with Estate grown and made jams, pickles, chutneys and other preserves.